STANDING SEAM METAL ROOFS - WCC ROOFING CO. 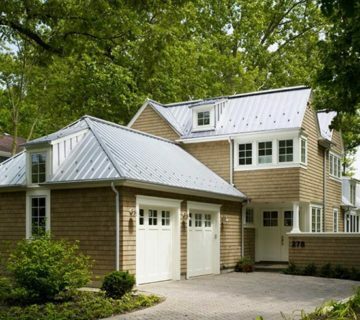 Although they aren’t for every building or every building owner, a standing seam metal roof is one of the most high quality roof systems you can install. Also, they are becoming more popular partly because of the rising cost of petroleum causing fiberglass asphalt shingle roof prices to climb over the last several years. 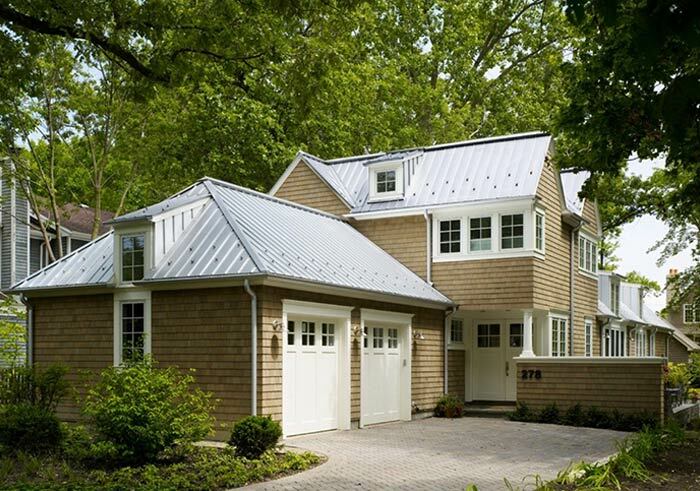 A standing seam metal roof can seriously enhance the structural integrity and look of your home or business. It comes in steel, aluminum, copper, and stainless steel, to name a few. All of these are at least a 50 year roof and are to be considered a lifetime roof system. Why? Because they are made of metal, for one thing. Metal of course is rigid and strong so it does not damage easily and can give you a very high wind rating. In most cases it is screwed down with hidden fasteners so the elements never get to these screws and cause corrosion. You can use as many screws as you want to make it very wind worthy. The technicians are metal roof mechanics and sheet metal mechanics who are highly specialized so they know how to custom fabricate and install every roof as per the particular building design. They are among the most technical workers in all of construction, and aren’t scared of heights either. Coil metal or flat sheets are run through a roof panel machine for different lengths, widths, and profiles custom to the shape and measurements of the building. Then they are installed. Some standing seam metal roofs (copper mostly) are handcrafted without a machine for historic buildings. These roofs don’t leak if put on right. Not just anyone can do it either, so please be sure you pick a roofing contractor who has the men, equipment in their sheet metal shop, and knowledge for the job. Most roofers don’t even do standing seam metal roofs. It is too complicated. See the roofs they have done and see their equipment, too. Although standing seam metal roofs are put on many commercial and residential buildings, as the main roof system they are also used to accent other types of roofs like shingles, tile, shakes, and slate roofs. Many times, bay windows, return roofs and bird walk roofs have metal on them. Some shopping centers have them on the front canopy to draw the eye of tenants and customers. Beach houses and cottages use them for wind resistance and high end aesthetics. High rise buildings and church steeples have them because their owners never want to replace their roofs after original construction. They are too high! The main thing is that if you put a metal roof on your home or business, it will perform very well and will be the last one you ever install, no matter how old you are. Request a complimentary appointment with one of our project managers by clicking below. WCC Roofing is proud to be of service to our community here in the Greater St. Louis Metro area. A member of our team will reach out to schedule your complimentary appointment. Of course, you can always give us a call at (636) 226-4483 if you prefer.